Specially formulated with and for dermatologists to respond to skin imbalances in sensitive skin, Crealine H2O dermatological micellar water guarantees gentle cleansing and removal of the face and eyes. The micelles of Crealine H2O, whose composition is very close to natural constituents of the skin, effectively capture the impurities while preserving the integrity of its protective film. Its formula, at physiological pH and composed of highly purified water of pharmaceutical quality, guarantees an excellent tolerance. It also contains a rigorously selected combination of dermo-patented active ingredients that soothes the sensitized skin, making Créaline H2O a real care from hygiene. The skin is clean, comfortable and soothed. Sustainably. 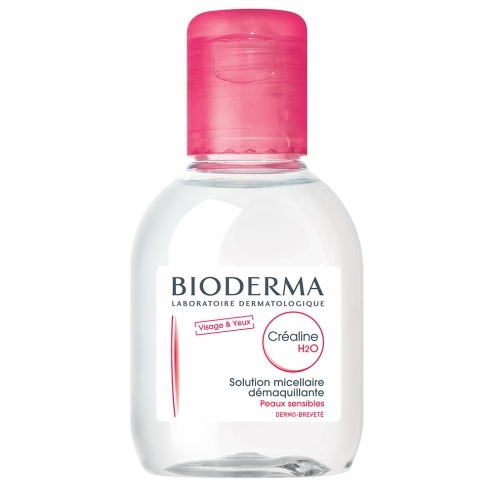 Inspired by the biology of the skin, the BIODERMA Dermatological Laboratory has formulated Crealine H2O. Soak a cotton pad of Créaline H2O. Clean and / or cleanse your face and eyes gently. INCI formula: Aqua / water / water, peg-6 caprylic / capric glycerides, fructooligosaccharides, patented d.a.f complex, cucumis sativus (cucumber) fruit extract, propylene glycol, cetrimonium bromide, disodium edta.